Sofia- US and Bulgarian troops Monday began a seven-week joint exercise to practice fighting terrorists in places like Afghanistan and Iraq, the Bulgarian Defence Ministry said. Up to 900 US and 300 Bulgarian soldiers are taking part in the drill, dubbed Bulgarian Panther 2008, at the Novo Selo Training Area in the south-east of the former Soviet-bloc nation. Goals of the exercise, due to end on October 17, include making it easier for Bulgarian and US forces to operate together. Sofia - Bulgaria and Japan on Friday agreed a 36.93 billion yen (337 million dollars) credit for the construction of cargo terminals in Bulgaria's Black Sea ports Varna and Burgas. The Japanese Bank for International Cooperation approved the 25- year credit, with a 7-year grace period and a 1.4 per cent interest rate, for the "construction and development" of container cargo terminals in the two ports by 2014. Sofia (Bulgaria), August 29 : A stone clock from the first Bulgarian kingdom has been discovered, among other findings, near Mogila village, Kaspichan municipality, in Bulgaria. According to a report in www. news. bg, some Bulgarian citizens accidentally came across two stone blocks near a Proto-Bulgarian fortress, out of which one portrayed a “stone clock” or “stone calendar”. The fortress is a part of the system, constructed for the defense of the capital Pliska. It closely resembles the Madara fortress, but is considerably smaller. At the initial investigation, enormous treasure-hunter decays could be seen, reaching a depth of 4 meters. Sofia - Officials from the European Union's anti-corruption authority OLAF began new investigations Monday in Bulgaria to take a closer look at Sofia's spending on EU-financed projects. In the work coming shortly after a visit to Sofia by OLAF chief Franz-Hermann-Bruener, the EU experts were focusing on EU-funded projects in Bulgarian rural development efforts, according to local media reports. 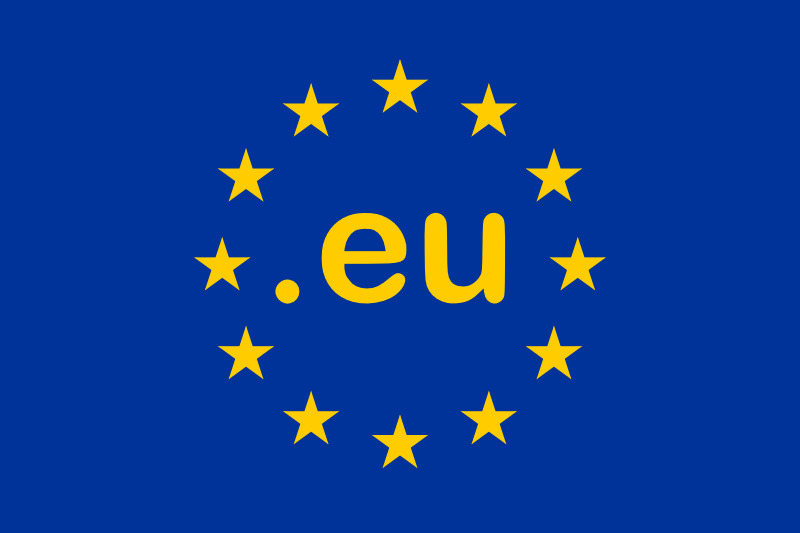 Last Friday, Bruener demanded that Bulgaria implement "better controls" in the way it spends EU money. Sofia - Bulgarian dairy farmers have blocked major roads in the east of the country in a further call for higher state subsidies, Bulgarian state radio reported on Thursday. Milk producers set up a blockade on the main road between the capital Sofia and the port of Varna on the Black Sea, to press for higher subsidies of 0.20 lewa (ten euro cents) per litre of milk, to apply retroactively from April 2008. Subsidies previously paid to farmers were less than the European Union average. The government in Sofia said at the beginning of August that it would set aside 30 million euros to subsidize farmers, but any such move would be dependent on EU approval. Sofia - The transport ministers of Bulgaria and Romania met in the Bulgarian town of Ruse Monday for discussions on building a further two bridges over the Danube. The two bridges being discussed by Bulgaria's Petar Mutafchiev and Romania's Ludovic Orban would be built following the planned 2010 completion of two already-planned bridges in around the Bulgarian town of Vidin and Romania's Calafat, the Bulgaria's BTA news agency reported. Sofia - Bulgaria will seek to rely on its own surplus budget after the European Union cut off almost 500 million euros in aid to the country over Sofia's shortcomings to halt corruption, local media reported Monday. The Socialist-led coalition which also includes the liberal NMS and the ethnic-Turkish dominated MRF decided at a weekend meeting in the south-western ski resort of Bansko to compensate the cancelled EU funds from the budget which currently shows a balance 3.8 billion lev (1.9 billion euros), local media reported. A new working group was tasked to control all Bulgarian authorities responsible for payments from Brussels, Prime Minister Sergei Stanishev said after the meeting. Sofia - Bulgaria's parliament Friday approved a gas pipeline deal with Russia over the objections of the centre-right opposition, which accused the government of putting national security at risk. The deal, signed in January during a visit by then Russian President Vladimir Putin, includes a 50-per-cent stake for Bulgaria in the operator of the planned South Stream pipeline. Approval came on a vote of 140-47, carried by Prime Minister Sergey Stanishev's ex-communist Socialist Party's governing majority. Opposition parties charged that the government had failed to examine the project's economic benefits, making it a risk to the country. Sofia - The arrest of former Bosnian Serb leader Radovan Karazic is "a relief for Europe," the head of Bulgaria's parliamentary foreign affairs committee said Tuesday. The move would also accelerate the integration of Serbia, Bosnia- Herzegovina and Montenegro into European structures, Solomon Passi told the Bulgarian news agency BETA. "Serbia and Bosnia have been resurrected for a new life in Europe, said Passi, a former foreign minister, adding that the arrest would "help overcome the legacy of the past" on the Balkans. Sofia - US Secretary of State Condoleezza Rice arrived in Bulgaria from the Czech Republic Wednesday for a brief visit to discuss bilateral ties with the Balkan country's leadership, official sources said. 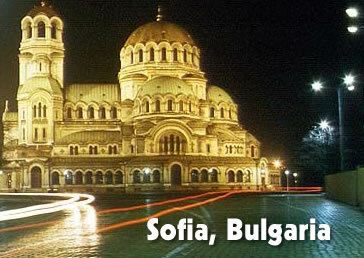 NATO member Bulgaria is one of the United States' closest allies in South-East Europe. In 2006, Rice signed an agreement in Sofia to set up four US military bases in the country. Sofia - Bulgarian customs officials on the border with Romania seized 78 kilos of heroin from a Polish truck and arrested the Polish driver, authorities in Sofia said Friday. Bulgaria, straddling routes of international drug smugglers, routinely seizes large amounts of heroin on its borders with Turkey to the south, Romania to the north and Serbia to the east. Some 19 tons of narcotics have been incinerated in Bulgaria since 2000, but it is certain that much more has slipped through. Apart from the West-bound heroin, chemicals, amphetamines and other substances are also smuggled across the Balkan country's soil. Sofia - A military munitions depot caught fire east of the Bulgarian capital Sofia, causing several explosions but no injuries Thursday, civil defence authorities said Thursday. Minister for Civil Defence, Emel Etem, said there was not danger to the population and the situation was "under control." 150 kilometres to the east. Residents of a village near the munitions depot site were evacuated, while people were also advised to keep their windows shut. Electricity was cut off in several villages. With further explosions still possible, the military had not yet been able to enter the depot area. Sofia (Bulgaria), June 30: A team of archaeologists has discovered an ancient church in the city of Veliko Tarnovo in Bulgaria, which dates back to the 13th century, along with remains of an ancient graveyard. Prominent archaeologist Nikolay Ovcharov led the team that unearthed the church, known as “St. Ivan Rilski”. It is the place where the relics of the saint Ivan Rilski were once saved before being sent to the Rila Monastery. “It took us a month to find the church. Unfortunately, it is not completely preserved but even the remains could show us its magnificence,” said Ovcharov. A golden ring with a two-head eagle as well as numerous silver coins, jewelry and ceramic utensils were also found at the site. Sofia - Following a warning by human rights group Amnesty International that Bulgaria's first Gay Pride parade could be attacked Saturday, strict security measures have been put in place ahead of the event in the capital Sofia. Nationalist groups had threatened not to allow the march, planned for Saturday afternoon, to go ahead. The Bulgarian National Union has been allowed to gather signatures for a petition against "homosexuality and child abuse" at the same time as the parade. New Delhi, June 11 : India and Bulgaria held wide ranging discussions on various security related bilateral issues, here today. The Indian delegation was headed by Union Home Secretary Madhukar Gupta, while the Bulgarian side was led by their Deputy Minister of Interior Goran Yonov. The talks were aimed at reviewing the initiatives and progress outlined under the Agreement on Cooperation in Combating Organized Crime, International Terrorism and Illegal Trafficking in Narcotic Drugs and Psychotropic Substances, the two countries had signed in 1994, as also for developing newer areas of cooperation on issues of mutual concern. Sofia - Bulgaria's telecommunications authority KSR on Tuesday announced a tender for the country's fourth mobile phone operator at a starting price of 38 million leva (30.17 million dollars). The terms of participation would be revealed by June 10 and the tender would be opened in the latter half of July, the state news agency BTA reported. A dozen firms, including the Turkcel of neighbouring Turkey, already expressed interest in joining M-Tel, Globul and VivaTel on the mobile phone market. Washington, June 2 : Geo-radar examinations have suggested the presence of the temple of the Thracian God Dionysius in Bulgaria. Reported in Kazanluk city, the temple is probably located in the mound Goliama Kosmatka near Shipka town in Central Bulgaria. According to Kosio Zarev, the director of local History Museum, the researches showed that immediately over the Sevt III’s tomb, revealed three years ago, is located a premises, similar to a temple, in which left outlet was defined a presence of big bronze statute. The scientists believe that the discovery treats the unrevealed until now, but existing in ancient times temple of Dionysius, for who is known for sure that was by the river valley of Tundja River (South - Eastern Bulgaria). Sofia - An eight-hour electricity outage hit part of Bulgaria's capital Tuesday, the latest in a series of power cuts that have disrupted business, everyday life and internet links. Other neighbourhoods in the city of 1.2 million went without electricity for part of Monday and last Wednesday - all for what the CEZ power company says is routine maintenance. Further weekday power cuts are planned, the company says. Czech-based CEZ, which bought major utility interests in Bulgaria in the last few years, says it met legal requirements to announce the cuts in advance in two local newspapers. Sofia - Bulgaria's government Tuesday pledged to shield trucking firms from competition and keep a lid on fuel taxes after haulers snarled traffic in major cities to protest high petrol prices. Transportation Minister Petar Mutafchiev said he was confident that the proposal to suspend licensing of new trucking companies in Bulgaria was in line with European Union rules. Truckers face a "crisis situation," he said after cabinet minister, hauling industry officials and fuel distributors held emergency talks on how to ease the burden of high diesel prices. Sofia - Around 1,000 truckers staged a protest Monday in Bulgaria against record-high diesel fuel prices, local media reported. Drivers were demanding that the government urgently curb fuel price rises. Transport companies say that the high fuel prices are a result of speculation and cartel agreements, and the truckers said they have started to fill their tanks in countries like Slovenia where the fuel is cheaper. Fuel prices in Bulgaria are among the highest in Europe, statistics show. A liter of diesel in Bulgaria costs 1.29 euros, while in Slovenia, where salaries are considerably higher, the per- litre price is 1.16 euros.